Nowadays, cake, cookies, ice cream and all those other Western-style dessert foods are every which where you look, but there was a time not so long ago that dessert in Japan meant dango, yokan, daifuku, manju, and more. It’s a diverse catalog of goodies that, aside from a thread of commonality called “anko” (sweet red beans), exhibits sweet happiness in many forms. All of these Japanese desserts, collectively known as “wagashi” (Japanese sweets), are still available at specialty stores and restaurants across the land. Dango are balls about the size of a large olive, made from sweetened, rice flour, are glutinous, and often come in festive colors. They can be made with (or topped by) anko (there’s that sweet red bean concoction again! 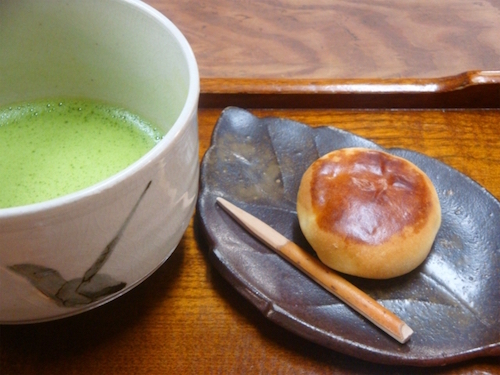 ), green tea, or a number of other natural flavors. 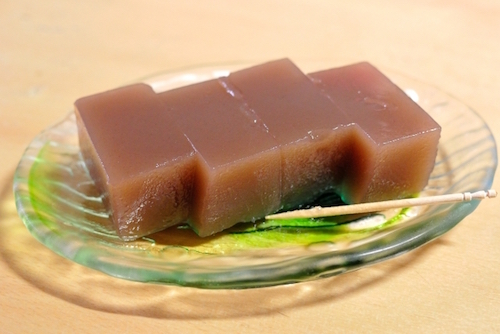 Mitarashi Dango, pictured at top, is covered with a sweet soy glaze. Dango come three to five a skewer, which is quite different in form from yokan (“yoh-kan” with a long ‘o’), which usually comes in a bar shape, and is made with anko, agar, and sugar. Sometimes you will find chestnuts nestled in the bar, which makes for a nice treat. 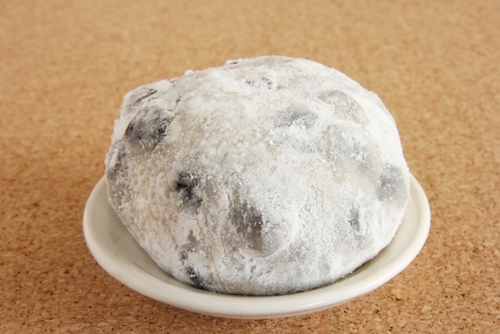 Daifuku can come in many different forms, and is possibly the most easily recognizable Japanese dessert. Pounded rice is balled up and stuffed with — you guessed it — red bean paste. This dessert is sometimes simply called “mochi” in English, though technically speaking, mochi is what the rice part represents alone. Variations, some crossing into the Western ethos, include strawberry daifuku and even ones with whipped cream married to the red bean paste inside! Manju may look like a daifuku, but since the outside is usually made from both wheat and rice flour, they are generally baked or, more often, steamed. The fillings can vary tremendously, but expect to see a fair bit of red bean in play. Sweetened rice and red bean are clearly the main actors in the Japanese sweets play, but there are so many ways to enjoy them, and so many variations on the theme that it would be a disservice for you to not try them all. Nothing to do but pour a cup of green tea and get started!